Karl Bringmann, Laszlo Kozma, Shay Moran, Narayanaswamy N S, Appeared in ESA, European Symposium on Algorithms, Sep 2016. Astha Chauhan, Narayanaswamy N S, Appeared in Workshop on Approximation and Online Algorithms, Aug 2016. Robert Ganian, Narayanaswamy N S, Sebastian Ordyniak, Rahul C.S., M S Ramanujan, Appeared in 41st International Symposium on Mathematical Foundations of Computer Science (MFCS), Aug 2016. Narayanaswamy N S, Rahul C.S., Appeared in 10th International Computer Science Symposium in Russia, Jul 2015. Narayanaswamy N S, Swapneel Roy, Appeared in The 9th International Conference on Algorithms and Complexity, May 2015. Narayanaswamy N S, Swapnoneel Roy, Appeared in International Conference on Algorithms and Complexity 2015, Feb 2015. Gaurav Singh, Narayanaswamy N S, Ramakrishna G., Appeared in Workshop on Algorithms and Computation, Feb 2015. Narayanaswamy N S, Anju Srinivasan, Appeared in Conference on Algorithms and Discrete Applied Mathematics (CALDAM 2015), Feb 2015. 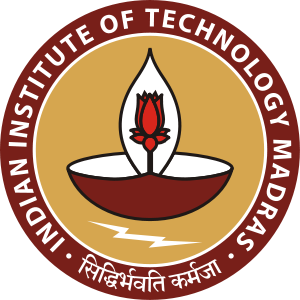 Narayanaswamy N S, Ramakrishna G., Appeared in Accepted at Theoretical Computer Scince 2014, Nov 2014. Narayanaswamy N S, Ramakrishna G., Appeared in Accepted at Discrete Applied Mathematics 2014, Oct 2014. Samuel Fiorini, Krithika Ramaswamy, Narayanaswamy N S, Venkatesh Raman, Appeared in 22nd European Symposium on Algorithms, Sep 2014. Connected f-Factors of Large Minimum Degree in Polynomial Time. Narayanaswamy N S, Rahul C.S., Appeared in 9th International Colloquium on Graph Theory and Combinatorics (ICGT 2014), Jul 2014. Narayanaswamy N S, Anup Joshi, Appeared in Accepted at 14th Scandinavian Symposium and Workshops on Algorithm Theory(SWAT 2014) - Copenhagen, Denmark, Jul 2014. Narayanaswamy N S, Subashini R., Appeared in Accepted at Algorithmica, Jun 2014. Characterization of Minimum Cycle Basis in Weighted Partial 2-trees. Narayanaswamy N S, Ramakrishna G., Appeared in Accepted at Discrete Applied Mathematics, CoRR abs/1302.5889 (2013), Apr 2014. A preliminary version under the title "Characterization of Minimum Cycle Basis in Weighted Partial 2-trees" appeared in Cologne-Twente Workshop (CTW), May 2012. Narayanaswamy N S, Krithika Ramaswamy, Appeared in Information Processing Letters., Vol 113, No.22, pp.849–851, Nov 2013. Narayanaswamy N S, Ramakrishna G., Appeared in Accepted at Workshop on Algorithms and Computation 2014, Oct 2013. Kamiel Cornelissen, Ruben Hoeksma, Bodo Manthey, Narayanaswamy N S, Rahul C.S., Appeared in 11th Workshop on Approximation and Online Algorithms (WAOA), Sep 2013. Narayanaswamy N S, Subashini R., Appeared in 8th International Symposium on Parameterized and Exact Computation (IPEC), Springer series Lecture Notes in Computer Science, Sep 2013. Daniel Lokshtanov, Narayanaswamy N S, Venkatesh Raman, M. S. Ramanujan, Saket Saurabh, Appeared in Accepted at the ACM Transactions on Algorithms, Sep 2013. Narayanaswamy N S, Neeldhara Misra, Venkatesh Raman, Bal Sri Shankar, Appeared in Accepted at Theoretical Computer Science, Jul 2013. A preliminary version appeared in Proceedings of International Conference on Mathematical Foundations of Computer Science (MFCS 2010), Lecture Notes in Computer Science, Vol 6289, pp.549-5555, Aug 2010. Krithika Ramaswamy, Rogers Mathew, Narayanaswamy N S, Sadagopan Narasimhan, Appeared in Accepted at Discrete Mathematics, Jul 2013. Narayanaswamy N S, Subashini R., Appeared in Arxiv, Feb 2013.